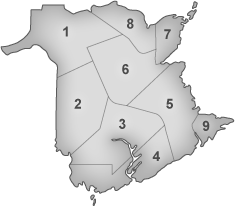 The Association of Municipal Administrators of New Brunswick is a professional association devoted to the education and development of municipal administrators to ensure excellence in municipal administration and service delivery. To ensure regional representation in decisions and policies to guarantee such excellence, each of the nine (9) regional zones send a member to the AMANB Board of Directors. Visit the Smart Energy Portal. AMANB interactive webpage to identify new opportunities and apply best practices for sustainable community design (SCD) and integrated community energy solutions (ICES).